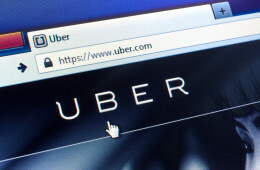 In another example of anti-gun asininity, San Francisco based company Uber Technologies Inc. came up with the brilliant idea to ban its drivers and users from carrying firearms while using the car service. I highlighted the truly inane part. Once again, liberal gun grabbers seem to think that it is better to FEEL safe than to actually BE safe. In less than a fortnight this policy was shown to be the train-wreck it was destined to be as an Uber driver from Queens was robbed at gunpoint just after midnight. True, this being Queens, NY the chances of the driver being legally allowed to carry by the dictators of that city were slim, but how exactly did either the gun control of New York City OR the prohibition of Uber do anything to protect the driver? The only person I can see fulfilling Uber’s wishes of feeling more safe and comfortable is the bad guy doing the crime, safe in the knowledge that he will not be harmed as he robs the driver. This is a far cry from the events of a few months ago on April 20th in Chicago where an armed Uber driver used his firearm to stop a mass shooting before it got started. The 47 year old Uber driver saw 22 year old gunman Everado Custodio open fire into a group of people at Logan Square and pulled out his own firearm (while working as an Uber driver) shooting and wounded the would be mass murderer. Had Uber’s policy been in place at the time and had this hero followed the rules, he would have been left with the only viable option to flee for cover and scream for help like everyone else. Because of this drivers actions, Custodio was stopped before he could hit anyone, thus the only injuries were inflicted on the bad guy. Of course this doesn’t make national headline news but I’ve come to expect that. If it doesn’t go with the lamestream media’s anti gun agenda, heroes are left in the shadows. On a side note, it wasn’t too long ago in Chicago when that 47 year old driver wouldn’t have been legally allowed to carry that gun that saved countless lives. Talk about timing. All in all, Uber is just a product of the mental disease that is liberalism…where somehow “feeling safe” is better than BEING safe. Or at least armed in the case that you need to defend yourself. I wonder if the drivers of the big wigs at Uber Technology Inc. go around armed? I have a feeling that once again the liberal mantra of “do as I say and not as I do” rears its ugly hypocritical head. I wish I were surprised.